THANK YOU FOR YOUR PARTICIPANCE! Interdisciplinary, integrated and individualized care conference series introduces practical and case-based teaching seminar about medication review. Comprehensive Medication review – theory and examples of implementation in practice. Evaluation of medication review cases presented by teaching seminar participants. Pharmacists, assistant pharmacists, general practitioners, nurses and other healthcare specialists; pharmacy and medical students; representatives of academia; healthcare and pharmacy politicians. 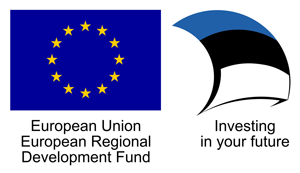 The NCPC2017 is sponsored by European Union European Regional Development Fund (24970,40 EUR). In addition to our scientific agenda, the project also aims to introduce parts of Estonia and Estonian culture that are harder to reach, yet worthy of doing so. Copyright © NCPC 2017 | All rights reserved.